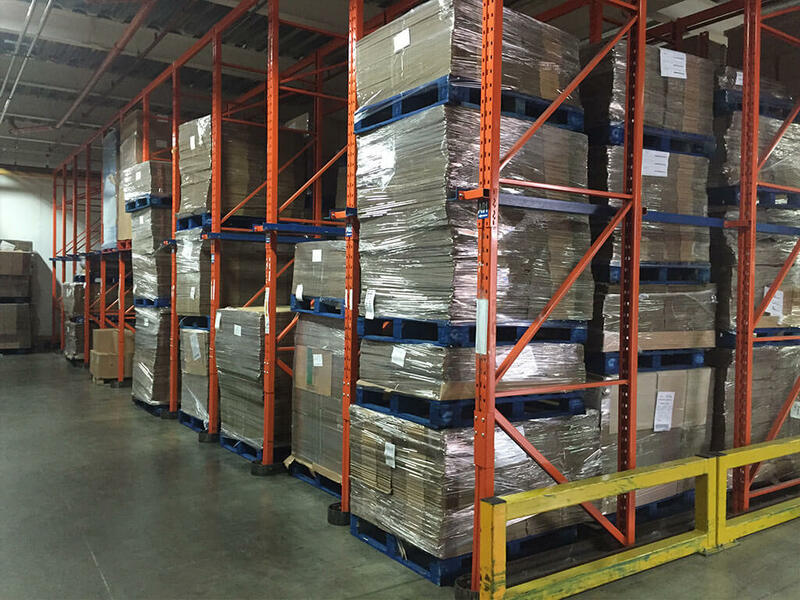 Drive-in or drive-through pallet racking is ideal if you require a cost-effective, bulk storage system with minimal risk of damage to your products. It utilises space effectively and reduces costs by using standard forklifts, which can be used efficiently driving in and out of the lanes. 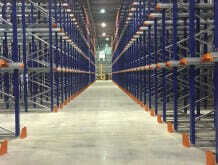 Racking heights of up to 11 metres allow full height and floor area to be put to use. Ideal for chilled and frozen storage or date-sensitive items such as food. 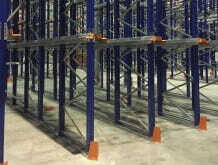 Store high volumes economically and minimise the risk of product damage. 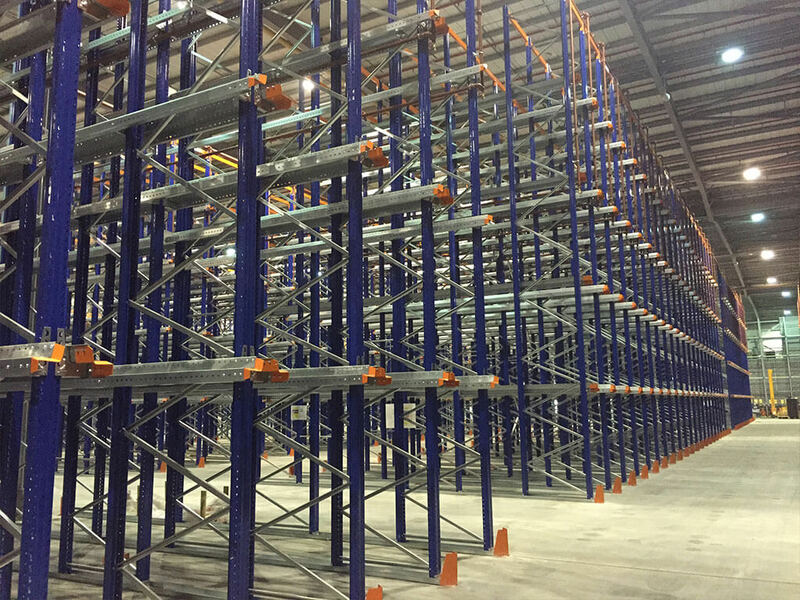 Space utilisation is increased up to 85% by assembling the pallets in a solid unit and eliminating lanes and aisles from the rack structure. Pallets are stored on rails and access can be from one end – the ‘drive-in’ configuration that means the system operates on a first in, last out (FILO) basis – or from both ends as a ‘drive-through’, so a first in, first out (FIFO) stock rotation system can be used. Although relatively slow for retrieval, drive-in and drive-through racking both offer a significantly lower risk of damage to pallets than block stacking, while being almost as high density. 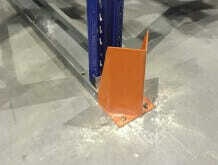 Each pallet is still supported individually, so damage from crushing is minimised. Costs can be kept to a minimum by using standard forklifts, which can be used efficiently driving in and out of the lanes to pick and place palletised goods. 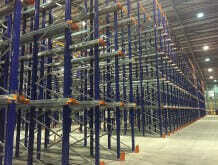 Individual pallets are not accessed directly, but one-by-one from the front of the rack. Helps to efficiently manage retrieval times. 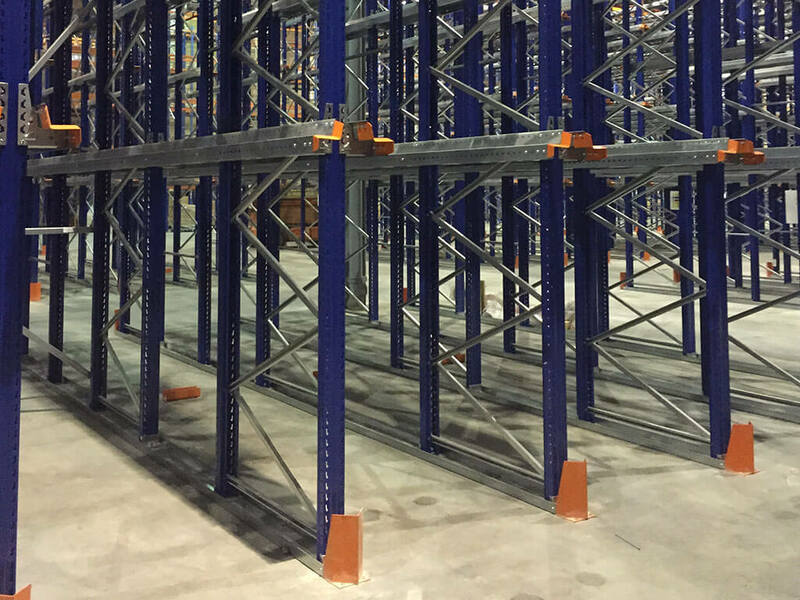 Good option for storing a high number of pallets per stock-keeping unit (SKU) – for example seasonal goods where input and output are at different times of year. Ideal for chilled and frozen storage or date-sensitive items such as food and high-density storage of easily-damaged or fragile items, and for bulk goods all of the same type.